1. 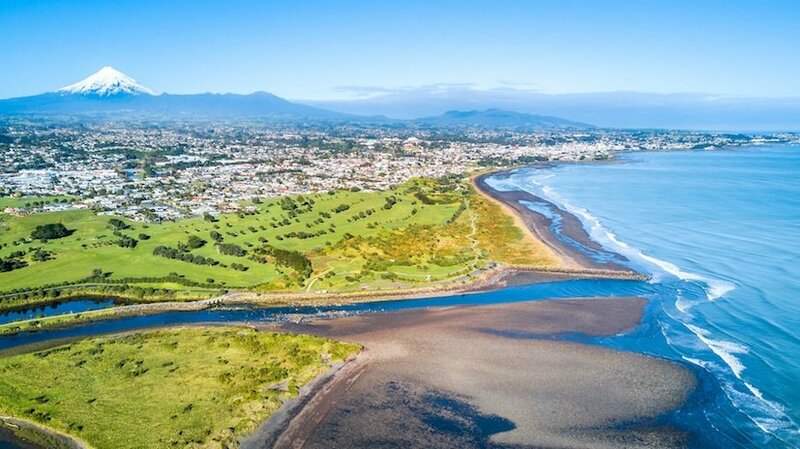 The Soil & Health Association of New Zealand Inc. (“Soil & Health”) thanks the New Plymouth District Council for the opportunity to comment on the Draft New Plymouth District Plan (“Draft Plan”). This document is a comment on the current draft version of the plan. 2. Soil & Health is a charitable society registered under the Incorporated Societies Act 1908. It is the largest membership organisation supporting organic food and farming in New Zealand and is one of the oldest organic organisations in the world, established in 1941. Soil & Health’s objectives are to promote sustainable organic agricultural practices and the principles of good health based on sound nutrition and the maxim: “Healthy soil, healthy food, healthy people”. Its membership is composed of home gardeners and consumers, organic farmers and growers, secondary producers, retailers and restaurateurs. 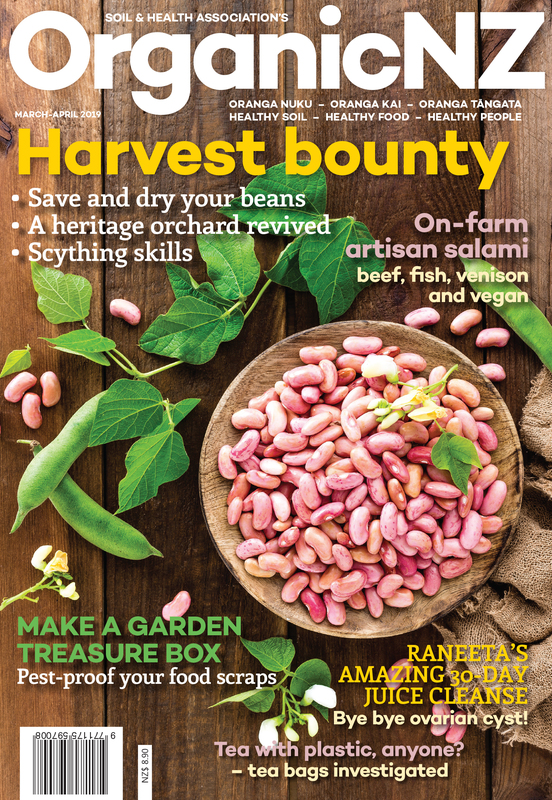 Soil & Health publishes the bi-monthly magazine Organic NZ – New Zealand’s leading organics magazine. 3. Soil & Health makes this submission on the Draft Plan requesting that it include policies and provisions relating to the management of genetically modified organisms (“GMOs”), as allowed under the Resource Management Act 1991 (“RMA”) and pursuant to the ruling in Federated Farmers of New Zealand v Northland Regional Council. 5. Soil & Health has concerns about the potential risks posed by releasing GMOs into the environment. It considers that the science is unproven and the risk of biological and ecosystem harm is too great not to include precautionary provisions for GMOs under local plans. 6. Equally important is the risk to social, economic, and cultural wellbeing, even if the New Plymouth District Council considers that GMOs pose no biological or ecosystem risk. This is because GMO contamination could have significant adverse effects on the economic markets, and way of life, for both organic and non-GMO food producers, and the mauri and tikanga of tangata whenua. 7. GMO activities have been of particular concern to Soil & Health, and its members, since the technology was developed in the 1980s. Organic NZ has published numerous articles about GMOs since the early 1990s to explain transgenic technology and investigate its safety. 8. Soil & Health’s membership has consistently called for action to prevent or restrain using this technology freely in the environment, unless or until it can be proven to be safe, healthy and beneficial for people and the environment, and to ensure users of the technology take financial responsibility for any negative consequences. 9. Soil & Health has monitored most of New Zealand’s GE field trials and reported on what it believed to be significant compliance breaches. These include breaches by Scion at its Rotorua facility where GE pine trees were being grown in an outdoor field trial. 10. No matter how carefully conditions of consent for GMOs are crafted, there inevitably remains a risk, even if small, that conditions may be breached by poor management, human error, natural events such as severe storms and even the sabotage of particular projects. 11. Once GMOs have been released into the environment, they would be very difficult if not impossible to eradicate. In the case of a food product, the “GE-free” status of a district would likely be lost permanently along with the market advantages of that status. 12. There is also a potential risk that escape of GMOs from a controlled environment would attract widespread publicity. Any such publicity of control breaches or even public criticism of a lack of an appropriate precautionary approach carries with it a significant risk of damage to ‘brand New Zealand’ or even particular organic farming sectors on the international stage. 13. From its work, Soil & Health is acutely aware of the importance of the precautionary regulation of GMOs to local communities. Feedback from members has made Soil & Health aware that many of them are primary producers and make their livelihood from farming, horticulture, forestry and beekeeping. They are very concerned about the risks posed to their businesses given past evidence of either human error in GMO activities, or unforeseen or unintended adverse impacts of outdoor use of GMOs. 14. GMOs pose a significant risk to the investment organic farmers and growers have made in businesses. This includes the many organic operations in the New Plymouth District. For the important and rapidly growing organic community, the impacts of any GMO contamination could have devastating and irreversible impacts. 15. Significant gaps exist in the law around GMOs in New Zealand. There is no provision under the HSNO Act for financial liability for GMO contamination resulting from the release of an approved GMO, meaning those causing harm may not be held liable. This is a significant financial and enterprise risk for organic and GE free producers, should GMO contamination occur. Fortunately, under the RMA, requirements for bonds for remediation and to cover the costs of contamination can be included in district plans. Further there is no mandatory requirement for the Environmental Protection Authority (“EPA”) to take a precautionary approach to the outdoor use of GMOs. 16. Due to these gaps in the law, the Inter-council Working Party on GMO Risk Evaluation and Management Options was established, and as a result a number of councils around New Zealand are moving to protect their primary producers and communities by introducing precautionary or prohibitive policies. Auckland Council, Far North District Council, Whangarei District Council and Hastings District Council have all included provisions in their planning documents to regulate the outdoor use of genetically modified organisms. All four councils have prohibited the release of GMOs on land and made field trials a discretionary activity with performance standards in regards to liability and the posting of bonds. 17. Soil & Health considers it vitally important that there should be an additional layer of protection at a local level (on top of the requirements of the HSNO), should contamination from outdoor use of GMOs occur. This is a safeguard for organic and GE-free producers who would otherwise have no recompense for GMO contamination damage to, or even the total loss of, their enterprise. 18. Soil & Health strongly supports the role of local councils (district, regional, city and unitary authorities) to manage natural and physical in a truly sustainable manner and safeguard the interests of their constituents and local communities when faced with uncertainty about environmental effects including the significant risks of the outdoor use of GMOs. 19. To maintain consistency with other member councils on the Inter-council Working Party it is submitted that New Plymouth District Council should include provisions relating to GMOs in the New Plymouth District Plan. These provisions could be the same (or similar) as those in the Auckland Unitary Plan. 20. Soil & Health was a party to Federated Farmers of New Zealand v Northland Regional Council. That decision ruled that local councils have the power under the RMA to control the use of GMOs via their local planning instruments. 21. In his decision Judge Newhook ruled that: “the RMA and HSNO offer significantly different functional approaches to the regulation of GMOs”. 22. HSNO is limited to regulating the introduction of new organisms (including GMOs) to New Zealand. HSNO “does not regulate the potential adverse effects of GMOs beyond approving them for release”, and does not provide for integrated management. 23. The RMA, on the other hand, enables authorities to provide for the use and protection of resources “in a fully integrated fashion, taking into account regional needs for spatial management that might differ around the country for many reasons”. 24. This decision was upheld in the High Court after Federated Farmers appealed the Environment Court’s decision. 25. Therefore, there is jurisdiction for the New Plymouth District Council to make provision for objectives, policies, rules and other planning tools in relation to GMOs under the Draft Plan. 26. This is further confirmed by the recent RMA amendments. On 18 September 2017 section 360D officially set down in law the right to place GMO provisions in Council plans without Ministerial interference. (d) integration of the management of natural and physical resources, and the effects of GMO activities on natural and physical resources, on a geographic basis. 28. The HSNO Act does not, therefore, provide a planning framework through which GMOs can be geographically, spatially or culturally managed in an integrated manner. 29. The RMA establishes a regime whereby local authorities are called upon to prepare policy and plans to implement sustainable management on a geographic basis through the use of integrated management of natural and physical resources at a regional level, and integrated management of effects on the environment at a district level. 30. Consideration of the location and distribution of proposals involving GMOs on a district basis, together with protection of rural resources for organic, biodynamic or GE-free farming, forestry, marine farming, beekeeping or other primary production, are important resource management matters for consideration by territorial authorities in carrying out their functions under the RMA. 32. GMOs have the potential to adversely affect ecological, economic, and resource management values, and the social and cultural wellbeing of people, communities and tangata whenua. 33. Application of integrated management and a precautionary approach to GMOs under the RMA is the best available technique for managing the potential adverse effects posed by GMOs within the region. 34. It is consistent with the sustainable management purpose and Part II of the RMA to establish district plan provisions (e.g. issues, objectives, policies, rules and methods) that manage the release, location and management of GMOs where they have the potential to adversely affect the environment and other land use activities. a. A new section specifically addressing GMOs which includes issues, objectives, policies and rules that are the same (or similar) as those in the Auckland Unitary Plan.